Jack Say (real name: Jacques Ysaye) participated in the Eurovision Song Contest for his native country Belgium several times – amongst which twice as a conductor. In 1956, he co-composed ‘Messieurs les noyés de la Seine’, which, sung by Fud Leclerc, was one of two Belgian entries to the first ever Eurovision Song Contest, held in Lugano. In 1958, together with Willy Albimoor, he wrote the orchestration of ‘Ma petite chatte’, also performed by Leclerc. Again two years later, in 1960, Jack Say re-entered the competition as a composer with ‘Mon amour pour toi’; this song was performed by Fud Leclerc as well and came sixth. Although Jack Say had arranged his 1956 and 1960 pieces, these entries were conducted by Léo Souris and Henri Segers respectively. It was not until much later that Jack Say conducted a Eurovision orchestra himself: in 1970, he was the musical director of the Belgian Eurovision heats and conducted the winner of that competition, ‘Viens l’oublier’ by Jean Vallée, in the international final in Amsterdam. Finally, he orchestrated and conducted the Belgian effort in 1982, ‘Si tu aimes ma musique’, which, performed by Stella Maessen, landed a respectable fourth place. Jacques Ysaye was born in Brussels, being the grandson of Belgium’s greatest violinist ever, Eugène Ysaye (1858-1931). Almost obligatorily, as a child, Jacques studied the violin, but, not being very much attracted to it, he gave it up for the mouth organ. He wanted to pursue studies at the Royal Military School to become an engineer, but, upon the outbreak of World War II (in 1939), he was explicitly forbidden by his father to go forward with these plans. Instead, he decided to devote himself to music studies again. After some preliminary courses, he entered the Royal Conservatory of Brussels, intending to go to university upon war’s end. At the conservatory, he studied the clarinet, solfège, and harmony under the aegis of teachers as Pierre Delhaye and Jean Strauwen. Meanwhile, he learnt to play the guitar and developed a profound interest in jazz music. 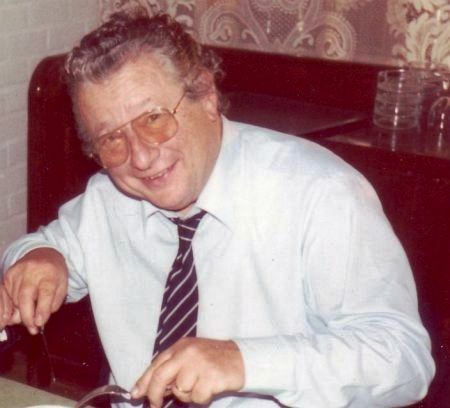 From 1941 onwards, he worked as a guitarist in a piano bar in Brussels; with the money he earned, he supported his parents who, at that time, were in serious financial difficulties. As the conservatory explicitly forbade its students to work as professional musicians, Ysaye decided to leave music school in 1942, although he continued his harmony studies with Strauwen for some time. Still in 1942, he wrote his first jazz composition, ‘Hésitation’, which he took to orchestra leader Stan Brenders. Brenders, impressed with the quality of the piece, wanted to play it with his ensemble and suggested Ysaye to publish it using an Americanisation of his name, ‘Jack Say’ – which was to remain Jacques Ysaye’s pseudonym throughout his entire career in music. He composed several more pieces for Brenders’ radio jazz orchestra and, subsequently, started writing arrangements to American jazz pieces for him as well. Among the other artists to play compositions by Jack Say during the war years were Hubert Rostaing and Django Reinhardt. 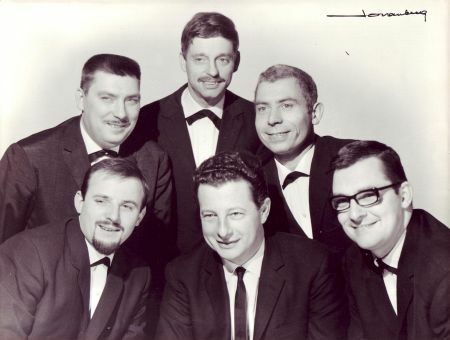 In the meantime, Jack Say and a good friend, Pierre Hermange, had formed a small orchestra, Les Cinq de l’Harmonica, consisting of three mouth organists, a guitarist, and a double-bass player. 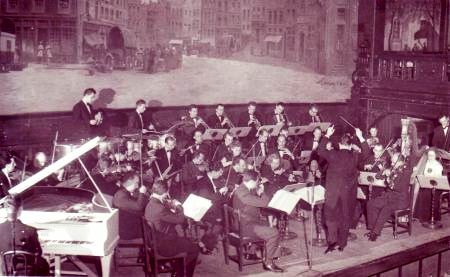 With this ensemble, they toured the country and performed for German-controlled Belgian radio; it was not until long after the war that it transpired that the Germans had intended to send the broadcasts with Les Cinq de l’Harmonica to England as part of a propaganda campaign, eager as they were to convince the British that they were not that hostile towards Anglo-Saxon culture after all and that it was feasible to seek a separate peace with the Reich. 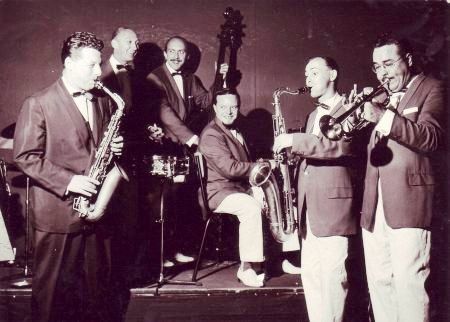 During the last year of the war, Say played the guitar, the clarinet, and the saxophone in various orchestras, amongst which those of Rudy Bruder (in Lille, France), René Gil, and Charlie Calmeyn, both of whom were conductors based in Brussels. Meanwhile, he wrote arrangements for the Eddie De Latte orchestra, which performed in both Brussels and Scheveningen (Netherlands). Just after the liberation, Say joined De Latte’s ensemble as a clarinettist-saxophonist. He performed with Les Cinq de l’Harmonica until the orchestra was disbanded in 1951. While continuing to perform as an instrumentalist in various orchestras for some time after the war, gradually, in the late 1940s and early 1950s, Jack Say specialized in writing orchestrations for all popular post-war variety ensembles which performed on national radio, most importantly the orchestra of Edgar Donneux; Say wrote arrangements to all kinds of music, ranging from chanson to full-scale operettas. His star as an arranger for Belgian radio (and somewhat later also television) rose fast, scoring music on a regular basis for the jazz ensembles of Francis Bay and Henri Segers as well. In 1951, for the first time in his career, Say conducted a grand orchestra – an ensemble consisting of sixty musicians – during a radio broadcast from Paris devoted to the Marshall Plan which was transmitted to all of Western Europe. As a composer, Jack Say not only participated in the Eurovision Song Contests of 1956 and 1960, but also took part in the Knokke Festival of 1953 with ‘Jour de fête’, performed by his close friend Jean Miret, who beat, amongst others, Jacques Brel. One year later, Miret also won the Brussels Festival with a song written by Say. During the Antwerp Film Music Festival of 1959, Say won first prize for the score he had written to Tokende, a documentary about Roman Catholic mission activities in Belgian Congo which had premiered at the 1958 World Expo in Brussels. Moreover, he won the gold medal of the Concours de la Louve d’Or in La Louvière (1961) and his ‘Caprice Jazz’ for violin and orchestra was awarded with the Golden Gondola in the prestigious Venice Music Festival (1962). Say also wrote a song which participated in the Concours de Deauville, France. 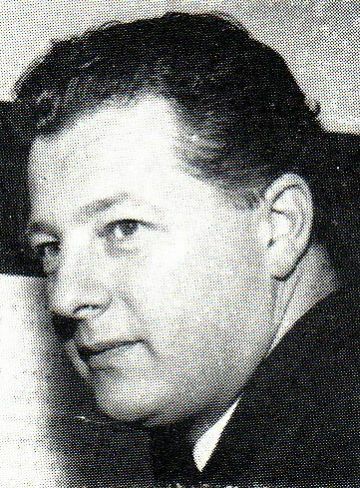 In the 1950s and early 1960s, by virtue of his acclaimed work as an arranger for national radio and television, Jack Say was commissioned by various important record companies (Philips, Polydor, and Decca, amongst others) to arrange and conduct studio recordings with many popular artists from both sides of the language border, including Jean Walter, Louis Neefs, Jo Leemans, Rina Pia, and Fud Leclerc. For Marc Aryan, he penned the arrangements to four songs, amongst which the bestseller ‘Tu es no. 1 au hit-parade de mon coeur’. In the meantime, he also wrote and recorded music which was used in advertisements for radio broadcasts and cinema. 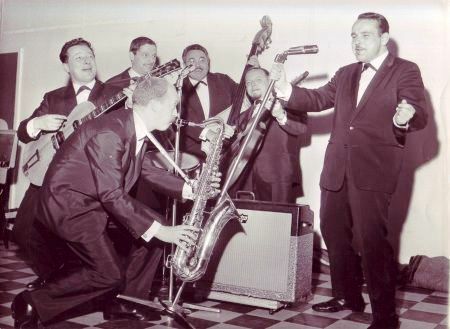 Between 1958 and 1963, Jack Say conducted the orchestra in the weekly Radio Luxembourg show Le Grand Prix des Variétés, a highly-popular song contest which lasted several months and which was broadcast from various locations all over Belgium. In the course of the 1950s, due to his extensive activities as an arranger, he had almost completely given up working as an instrumentalist himself; later however, in the 1960s, he formed a small jazz orchestra, which included Freddy Sunder as a guitarist/singer. With it, he toured Belgium and Northern France. With some changes in the personnel, this ensemble was occasionally turned into a veritable rock band. In 1968, Jack Say was contracted by francophone public broadcaster RTBF as its television conductor. 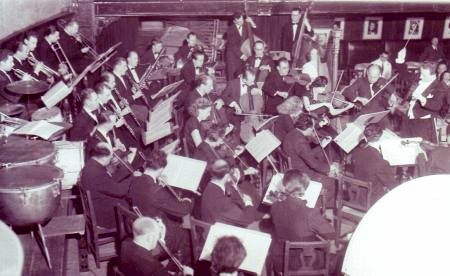 He hand-picked the musicians for his TV orchestra, which came to consist mainly of the members of the former jazz orchestra of Henri Segers which had been disbanded in 1966; Say added a string section to this formation to transform it into a veritable variety orchestra, able to accompany pop artists. With it, Jack Say performed in several show programmes, including the song contests Camera d’Argent and Chanson du Siècle. He was the conductor for Belgium in a cross-border Francophone show programme called Chantons Français, broadcast from Geneva, Switzerland. At the RTBF’s request, he wrote an arrangement for chamber orchestra to his grandfather’s 8th Concerto for Violin, which was played in an homage programme dedicated to the school of great Belgian classical violinists, but which was later also recorded on album. His TV orchestra was disbanded in 1978. In the 1970s, Jack Say regularly worked as a conductor for Flemish broadcaster BRT as well, substituting Francis Bay during his illness. Amongst other things, he did a show with Connie Neefs and Louis Neefs, ‘Zus en zo’. For the BRT, he conducted the Belgian entries to the Nordring Festivals of 1977 (in Copenhagen) and 1978 (in Oslo, with vibraphonist Fats Sadi and trombonist Marc Mercini); in ’77, he had been called upon only four days before the delegation left for Denmark, because the arranger of all music to the Belgian programme, Koen De Bruyne, had died. It was not until Say was on the plane to Copenhagen and took a look at the scores that he found out that the arrangements contained lots of mistakes and urgently needed correction. He rewrote the score in a way that still reflected De Bruyne’s intentions, but without the errors of the original. In 1969, one year after the commencement of his work at RTBF, Jack Say founded Studio D.E.S. (Diffusion Électronique Sonore), a recording studio near Place de Brouckère in the heart of Brussels. Initially, the studio was mainly frequented by singers who wanted to record a demo with which they hoped to earn a record deal. Amongst these hopefuls was a group of young musicians from Brussels who later became known as the Wallace Collection; with their recording made in Studio D.E.S., they managed to convince the producers of His Master’s Voice (HMV) in London. ‘Daydream’, one of the pieces they had originally sung in Say’s studio and of which a new version was recorded in Britain, became an instant international hit. Thanks to this success, HMV and other record companies started sending young vocalists to Studio D.E.S. to make a proper recording which could subsequently be judged by them. Meanwhile, Jack Say added a bar and a restaurant to his studio and, more importantly, invested in new recording equipment which made the studio one of the most modern in all of Europe. The result of his efforts was that producers from various record companies and artists from both Belgium and abroad became very keen to record their material in Brussels. The major Flemish hit ‘De laatste dans’, sung by Anja and arranged by Martin De Haeck, was recorded in Studio D.E.S.. Other Belgian producers who worked there include Milo De Coster (with singer Liliane Saint-Pierre), Marcel De Keukeleire, Léo Caerts, Roland Verlooven (with Le Grand Jojo), and Rocco Granata. Belgian rock band Machiavel taped their first album in Say’s studio. Jack Say himself arranged songs recorded in Studio D.E.S. by Robert Cogoi and Frank Michael. Claude Barzotti, a popular francophone artist in the 1980s, recorded ‘Madame’ and several of his other successes with Jack Say in Brussels as well. The studio became popular with French producers and artists who, because of the frequent musicians’ strikes in Paris, were often forced to work outside of France. As a result of this, on several occasions, famous arrangers such as Jean-Claude Petit and Pierre Porte (the latter with Eurovision star Jean-Claude Pascal) came to Brussels to record their material. Some major hits were recorded in Studio D.E.S., including ‘La danse des canards’ by J.J. Lionel and Patrick Hernandez’ 1979 disco classic ‘Born to be alive’. Even from far-away Canada, Nova Scotia based producer David Neima travelled to Brussels to make some recordings. Between 1968 and 1973, Jack Say regularly worked for the Dutch branches of record companies Polydor and Phonogram and producers from the Netherlands, such as Hans van Baaren. He wrote arrangements for Corry Brokken, Herman van Veen, Euson, and Los Paraguayos, and made recordings with them in his Brussels studio as well as in the Netherlands. He managed to interest the production team of RTBF in Herman van Veen, who must probably have been one of the very few artists to have performed Dutch-language repertoire in a RTBF show. 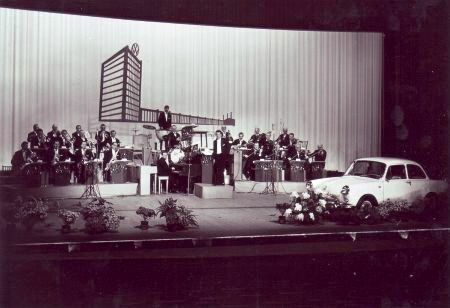 In a show in West Germany for SR (Baden-Württemberg broadcaster), Say led the orchestra for Los Paraguayos in what was the first-ever colour programme on the continent. 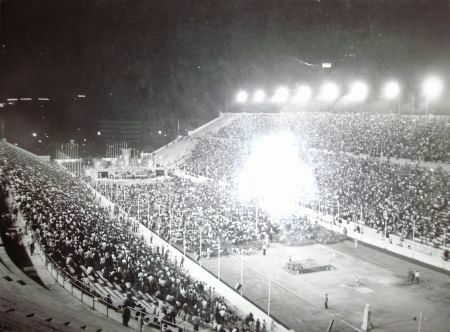 In 1972, when Euson represented the Netherlands in the Athens Music Festival organized in the huge Olympic Stadium of 1896, Jack Say was his conductor. When the Greek audience found out Euson had only finished second, it protested so violently that the jury results were changed, meaning that the Netherlands were now declared joint-winner with Canada. 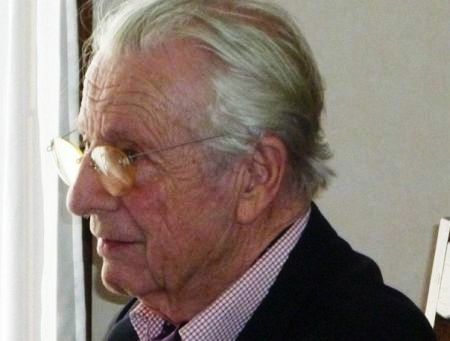 Between 1953 and his retirement from the music business in 1985, Say served the Belgian Association of Authors, Composers, and Publishers (SABAM) as a member and later president of two commissions and, from 1975 onwards, as an administrator. He sold Studio D.E.S. in 1982 and moved to Spain three years later; there, he played the clarinet in a combo which played jazz standards and accompanied operetta performances in the Fuengirola theatre. He returned to Belgium upon the passing away of his wife in 2005; since 2006, he has lived in Sint-Genesius-Rode (Rhode-Saint-Genèse, near Brussels). Apart from his compositions that reached the Eurovision finals, Jack Say was also responsible for some songs that competed in the Belgian Eurovision heats, but were not chosen. The first one of these was ‘Voor jou, chérie’ (lyrics by Nelly Bijl), which was sung by Wim Van de Velde in the 1957 selection, entirely consisting of Dutch-language songs. Other Belgian national final entries composed by Jack Say include ‘Twee harten, één gedachte’ and ‘In d’eenzaamheid’, both from the 1959 pre-selection and performed by Eric Franssen and Al Verlane, as well as ‘Toi, mon copain’ and ‘N’oublie jamais’ from 1962, pieces sung by Robert-Charles Lanson and Ferry Devos respectively. In order to compile this biography, Bas Tukker did an interview with Jacques Ysaye (Jack Say), February 2010. All pictures courtesy of Jacques Ysaye. 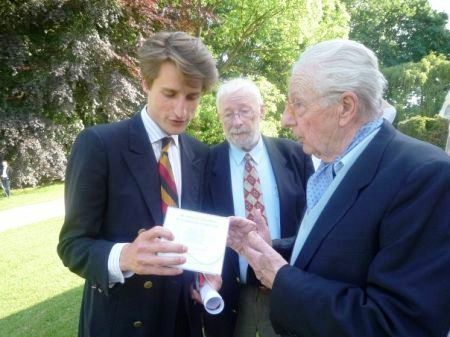 Many thanks to Jean Libotte (Jean Miret) and Herman van Veen for sharing his memories with us. More information about Herman van Veen can be found at his website, www.hermanvanveen.com. Many thanks to André Vermeulen for adding valuable data about the various Belgian pre-selections. Unfortunately, no website on Jack Say exists.